With some current smartphones being more powerful than the most powerful computer from 15 years ago, it's no wonder that radical improvements in miniaturized hardware are to thank. Ever since Apple introduced the 64-bit Apple A7 chip in the iPhone 5s, the race has been on for Android smartphones. But which chips are which and what phones will use them in 2015? 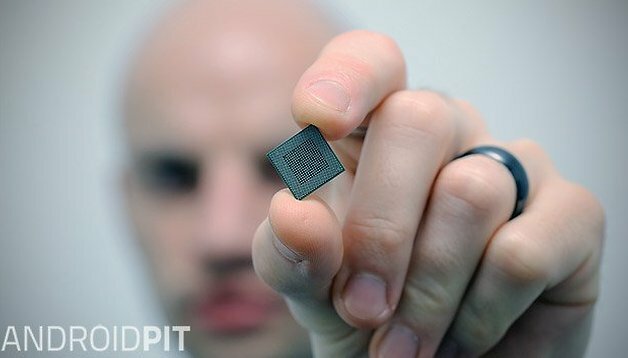 We've broken down the major chipset makers for you below so you know who makes what and which smartphones these chips are already in, or will appear in later this year. Qualcomm manufactures the near-ubiquitous Snapdragon SoC (System on a Chip), present in most Android smartphones on the market today. To give you an idea of scale: Qualcomm is to chipsets what Samsung is to Android smartphones, with around 70% market share. Qualcomm currently has 5 64-bit processors: the Snapdragon 410, 610, 615, 808 and 810, but only three are currently in use (the 410, 615 and 810). The Snapdragon line is divided into three categories: the 800 series is of course the top of the line, 600 covers mid-range devices and the 400 series covers more entry-level devices as well as a lot of wearables. The Qualcomm Snapdragon 810 powers the brand new LG G Flex 2, and will be the chipset of choice for most manufacturers in the first half of 2015. Other devices likely to run a Snapdragon 810 in the very near future are the Sony Xperia Z4, HTC One (M9), LG G4, Samsung Galaxy S6 and Galaxy S6 Edge, although both of these last two will also come in Exynos variants (see below). The 615 was the first octa-core chip from Qualcomm, and was released almost a year ago. Today it is present in the Samsung Galaxy A7, HTC Desire 820, Oppo R5, Lenovo Vibe X2 Pro, Vivo X5 Max, Archos 50 Diamond and Coolpad GreatGod F2. The first Android smartphone with a 64-bit chipset was the HTC Desire 510, running the Snapdragon 410. Besides the HTC, the 410 is also present in the Huawei Honor 4X, Huawei Ascend Y550 4G, Oppo 1105, Lenovo Vibe Z2, Lenovo S90 Sisley, BLU Life One, BLU Life One XL, Samsung Galaxy Mega 2 and the Galaxy Grand Prime. The Taiwanese chipset maker has produced four 64-bit chips: the MT6795, MT6752, MT6735 and MT6732, but only three smartphones I know of currently carry MT chipsets: the HTC Desire 620, the Elephone P6000 and the ZOPO ZP920. If you know of more, let me know in the comments below. Sammy invests a lot in the SoC market, with various 64-bit Exynos chipsets in the works. Despite reporting on two 64-bit Samsung chips in development back in late 2013, we've only just seen the first arrive: the Exynos Octa 7, which is present in the Samsung Galaxy Note 4 in some regions and will most likely be appearing in other Samsung devices this year including the Galaxy S6 and Galaxy S6 Edge. Nvidia has developed the legendary super-chip, the Tegra K1, which we had awaited for pretty much all of 2014 until it finally arrived in the Nexus 9. Of course, Nvidia also just announced the Tegra X1, which is so ridiculously powerful that it makes even the K1 look wimpy. Nvidia assures me that the Tegra X1 will be appearing in several mobile devices this year, but just how that insane performance potential is balanced out with power demands and heating I'm left to wonder. Another manufacturer with a 64-bit contribution is Intel, with the Atom Z3580. This chip will be making the rounds in early 2015 in the Asus ZenFone 2 and Asus Zenfone Zoom, as well as the Nokia N1. This list is of course far from exhaustive. If you know of other devices running 64-bit chips be sure to add them in the comments. Of course, at this point in time too, the only Android device with a 64-bit chip and 4 GB of RAM is the Asus Zenfone 2, so it will be a little while longer until we see the full potential of 64-bit computing in mobile devices. Suffice it so say though, that all the major flagships in 2015 are going to be powered by 64-bit processors. What are your thoughts on 64-bit chips in phones? Where will all this additional power be felt most? For me and I suspect many others, the Asus Zenfone 2 will be the standout. Not only is it capable, but good camera and extensive cellular network frequencies making it usable pretty much anywhere. I can't wait, 64-bits has arrived for mobile, and hard to say, apple beat everyone to the mainstream market, give credit to the competition. This advantage, will be short lived though. Phones will take a drastic step soon, when project ara becomes a consumer reality though, and truly bendable phones arrive, 64 bits , will be needed to keep up to all the hardware changes, that are going on now. It's natural, to assume that software will be more powerful, and drastic, as time goes on, just to meet these changes(including the new connected world, with auto, home, etc..). Maybe we should stop calling these smartphones, they're gonna be a lot more than that in a few years. New name anyone?